Our now annual Scottish exploit is in its 12th year and is successfully delivering all five phases of a cadet’s five year development plan. 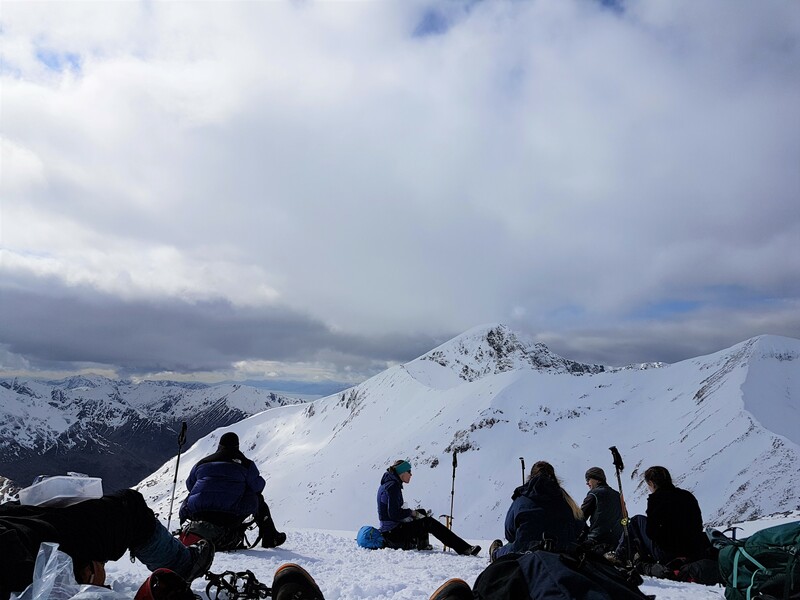 Our long serving local instructors now have an expectation of great training weather and this year lived up to the reputation with rain, wind, snow, sub zero campsites and a start and finish with blue skies and snowy mountain tops. 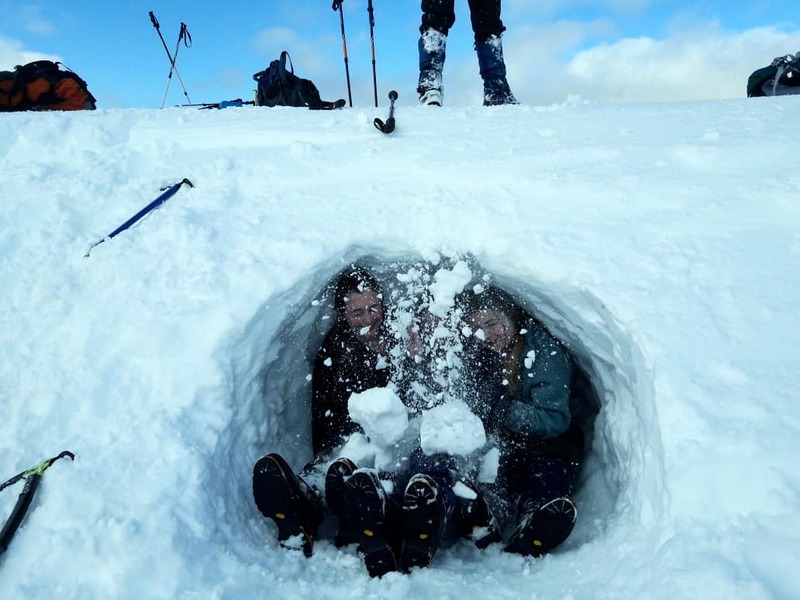 Exercise Northern Jacobite Venturer is an ambitious multi activity week designed to give cadets from Giggleswick School the opportunity to produce a tangible outcome to the adventure training elements of their cadet experience by contributing to their DofE Awards. From this experience it is hoped that at least some will go on to satisfy their spirit of adventure in more distant and culturally diverse locations. 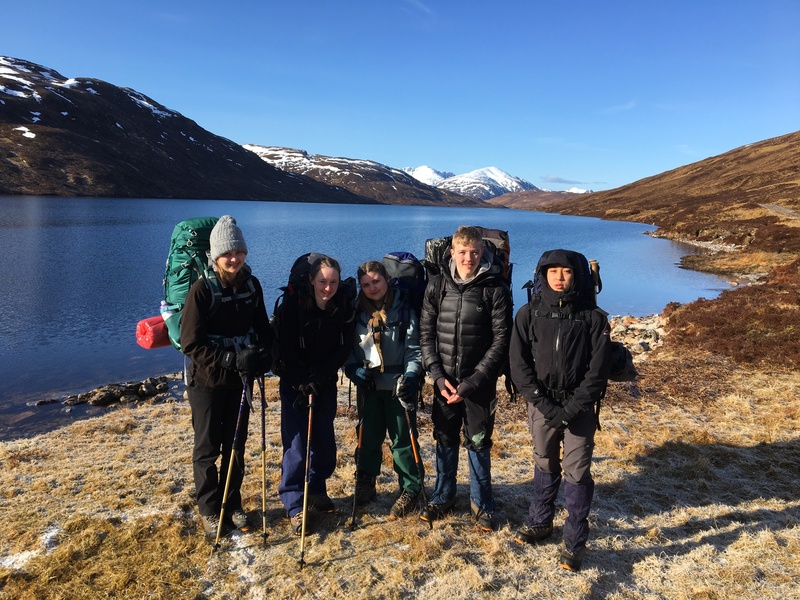 Expeditioning in March and April in wild areas of Scotland certainly exceeds the requirements of the DofE Awards and cadet syllabus and is made possible by the use of highly qualified and experienced instructors who can only be afforded through the generosity of the Ulysses Trust. It was a delight to hear that students had been educating the instructors. 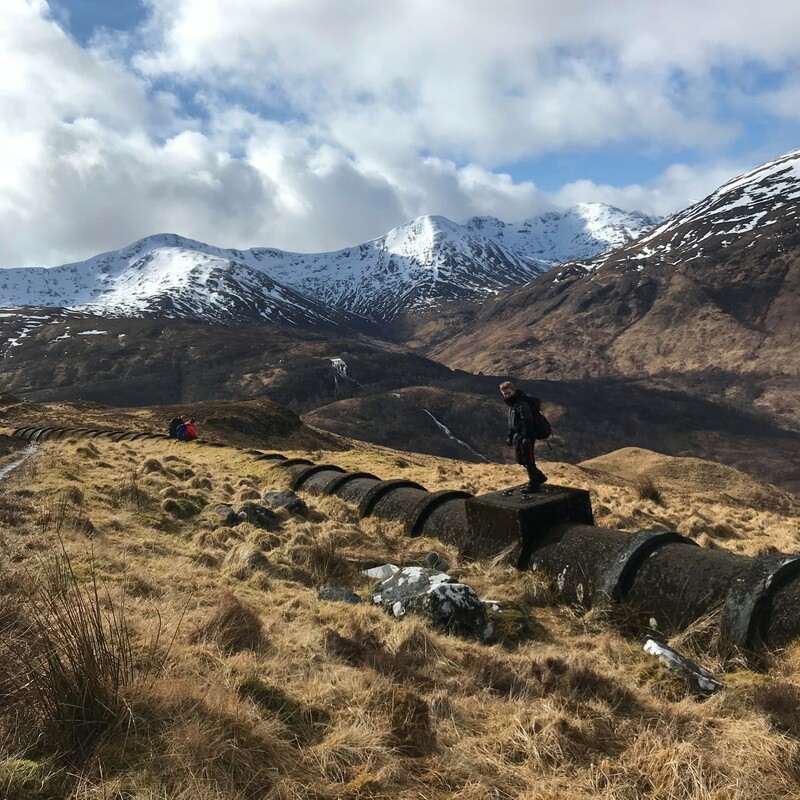 Lessons from the Geography classroom were applied with enthusiasm and instructors were made to engage with the landscape as cadets questioned the nature of valley profiles or mounds of deposits. The snow topped peaks generated some fantastic photographic opportunities and we were fortunate to have been snapped by a Guardian photographer but unfortunately the editor chose the picture of a group 100m ahead of us. Maybe we’ll make it into print next time. An interesting challenge was that of equipment. It would appear that more and more manufacturers are making claims about equipment that their products just cannot match. Despite being labelled as “effective to -10oC” this was very quickly identified as an exaggeration and issue sleeping bags needed be delivered to the next night’s campsite. Food shopping probably brings with it the steepest learning curve. Planning a menu, balancing dietary requirements and sticking to a budget mean that instructors regularly have to take students back to the shopping isles and swap super noodles and energy drinks for rice and tea bags, or raw chicken breasts for pre-cooked meats. When at the wild camp the insistence on “Sir, I want a cooked breakfast” saw a whole range of Trangia based comedy sketches with sausages and bacon requiring some creative cleaning solutions. It is reassuring to see the impacts of this experiential learning when cadets progress to the Gold Award and subsequent expeditions. We also met the challenge of taking a young cadet with Cystic Fibrosis into a wild expedition area. Support and contacts, including those provided by Ulysses Trust, meant that we were able to attract a serving regular army doctor to our team. The additional confidence that his presence gave the cadet, the rest of her expedition team and the adult instructors was a huge boon to the whole week and received significant praise from the Cystic Fibrosis Trust. My hope is that at some point in the future this progressive training programme will generate a group of students who would wish to journey into even more adventure. So far there have been a few of the most able attendees who have gone on to alpine ascents, two have built on their experience to ascend Mt Kenya, 5 have now expeditioned in South Africa whilst it is recognised that the challenge to merely wild camp for two nights is of equal demand for many. 5 adults successfully gained update and best practice training from MIC’s and our attached Doctor (incl management of cystic fibrosis and trauma management).